Do you think this is it forever or do you think there will be a season 4 or another twin peaks film? I think we will have a miniseries. 6 episodes. Cautiously optimistic. I've seen far too many good series get cancelled, and far too much initially good stuff turn to dross and drag on for season after season to take the view that more is always better. Sometimes it's the limited, truncated nature of these things that retroactively makes them better. As the last 27 years have proved, it's far easier to miss Twin Peaks than to try to somehow continue it. Those are big shoes to fill, after all. 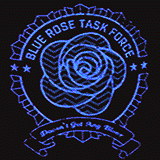 I wouldn't want Cole and Cooper's Blue Rose case in Twin Peaks to become a five-season series, which would even with the best intentions inevitably turn stale and meander into self-parody. Those elements are proving to be, I'm afraid to say, somewhat delicate. In the long run it may be better to let fans keep their memories rather than try to rewrite them. I'd be happier to put that arc to rest after the current 18-part film, and see what Messrs Lynch and Frost have in terms of these 'other stories' to be told, perhaps in a miniseries where our point-of-entry is someone other than Coop. Another prequel, perhaps more distant in period, loosely translating some of Frost's writings on the TP area into Lynchian cinema, could be a nice treat. Of course, this all depends on where the impending denouement leaves us. I may have more to say at that point. I think this is it. TBH I'd rather see Lynch do something else. Of course if he ever revisited TP I'd be down! I've already gone places. I just want to stay where I am. A few things have to fall into place. I'd say that if Lynch decides he has another story to tell; chances are about even (or maybe *slightly* better) that it'll take place in the world created by Twin Peaks. also cautiously optimistic on this. I can see that Lynch might have a reason for doing it. The first TP was his attempt at making '' a continuing story'', a narrative that never resolved itself that could go where it chose when it wanted to, that was ultimately frustrated because the network wanted the nurder mystery to be answered, which, as Lynch said, '' killed the goose that laid the golden egg''. So the planned series 3 and beyond weren't recommissioned. Lynch was sore about this at the time.
'' Exploring a world'' he has said about both TP and Inland Empire. Mulholland Drive - before it became the movie - was also supposed to be an open ended series. I believe he once even said - when asked about the weird guy behind the diner in MD - that MD was part of '' the same world'' as Twin Peaks. I'm huge Lynch fan. I would love to see him dive into an ongoing narrative and deliver more content. In a cable series or on demand format. We are use to seeing 2 films every decade from Lynch and it's been over 10years since Inland Empire. This year alone we get 18hours of Lynch directed and co-written material. To get 18 or 36 more hours of Lynch content over the next few years would be so F-ing sweet. Kyle doesn't think so, and IIRC he is not the only one among cast or crew. I believe Sabrina Sutherland has also allegedly claimed interest from L/F. I think it's 50/50. I'd die to have it, but I can still live and be happy with this ending, just as I did with FWWM for so many years. I think it'll be up to Lynch/Frost because I could see Netflix offering if Shiwtime declines. Time to fire up that determined resolve again. And remember, it worked last time. - Nearly every cast member who has been asked about it has stated that David is open to doing more if the fans want more after this season. If, the response to this season has been favorable. - Lynch has stated on the record in multiple interviews, that he is open to doing more and that we'd just "have to wait and see" regarding how this season goes over. A sentiment echoed by both Mark Frost and Kyle MacLachlan, who has added that he believed there were "many more stories still to tell" (beyond season three). - Lynch has indicated a disinterest in doing anything else with theatrical films and sees television as the new art house, the new venue with which to work in. - Just the other day, I was notified that the Facebook group that was ran BY THE CAST mind you, when it came to galvanizing fans to support Lynch's return when he walked away from the project two years ago, has now been renamed in support of getting a fourth season. - Showtime has stated that their door is open to him. - It's made a lot of money for CBS, who owns it. It boosted their earnings by 11%. - It is doing very well on the networks it has been sold to overseas. - It has been near-universally praised by critics. - Executive producer Sabrina Sutherland said not two weeks ago, at the Twin Peaks Fest, that the production side of things "is up for more" and they'd be discussing it with Showtime post-finale. - It has earned the network their highest spike in subscribers ever, which is what they bottom-line care about. - Talks about another season will resume between all the parties following the conclusion of this season's finale. Lets let them know BEFORE those conversations take place that the want and desire is there from fans for more stories in the world of Twin Peaks. I for one am already campaigning on social media for it and bothering Showtime fairly frequently. It is not definitely over. As the "end" draws near, for this season anyway, I think we should also move towards and united effort to show David, Mark and Showtime our love, to make a grand statement. I recognize that this is a bit like herding thousands of caffeinated mice, who are determined to bicker and infight and disagree on whether they even want a 4th season after 27 some years awaiting a conclusion. But I think the effort should be made. For as much as David might not care if we "get it" he certainly cares about whether or not we like it. His crestfallen mood after the negativity towards FWWM proves this. This should, by all accounts, be easier to do than it was in the 90's when C.O.O.P. fought for the show's survival. With the advent of online petitions and direct, instant access to the network and the show's people via social media, there is no excuse why we can't get this done. We had a huge hand in helping when Lynch walked away from season three. As a few others have mentioned elsewhere, I think cancelling our Showtime subscriptions immediately following the finale could send a good message. BUT one with an ACTUAL message attached ("Renew Twin Peaks and you'll get back our patronage, our dollars and loyalty). Damn straight. I think all parties have an interest in continuing, the thing is arriving at a number, a schedule, and a format that pleases all parties. But social media should definitely be harnessed to amplify our screams for more after the finale. If Frost and Lynch have those other stories in them that Kyle thinks should be told, it's time to make some more noise to nudge Showtime. Having Les Moonves crowing about the profits really puts Rancho Rosa in a good position, if they have an interesting pitch to continue and maybe lower the budget and episode count split over two seasons of 8-9, I think it's a real possibility. Showtime is selling $150 Owl Cave rings today. Nobody is buying Ray Donovan rings. Hopefully so. This season has already been a major blow to TP's legacy in my opinion. Little Pine Cone wrote: Time to fire up that determined resolve again. And remember, it worked last time. Even though this season has frequently driven me round the bend, I still want to see more. I'm still watching every week, I still want to know what happens next. If this is indeed the show about Cooper's journey back to Twin Peaks, then I want to see what happens once he's back there. See if they can get Michael Ontkean back, along with Piper Laurie and Joan Chen as well! !